Love the CarFirst TVC? Well, here’s a competition just for you! 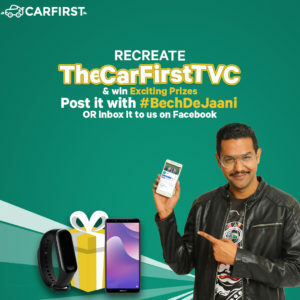 In collaboration with Ali Gul Pir, CarFirst has launched #BechDeJaani competition, a chance to win exciting prizes by simply recreating the TVC. Recreate the CarFirst TVC by singing or dancing it! Grab a camera, recreate the TVC and #BechDeJaani!